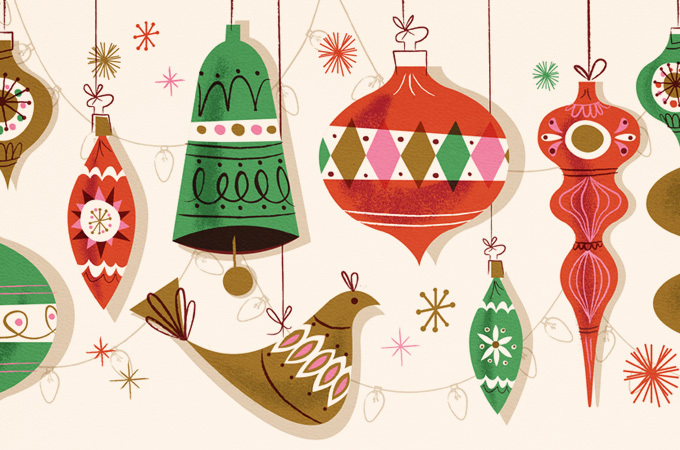 In 2010, working with creative agency Struck/Axiom we helped develop the holiday season campaign for Salt Lake City's The Grand America Hotel. 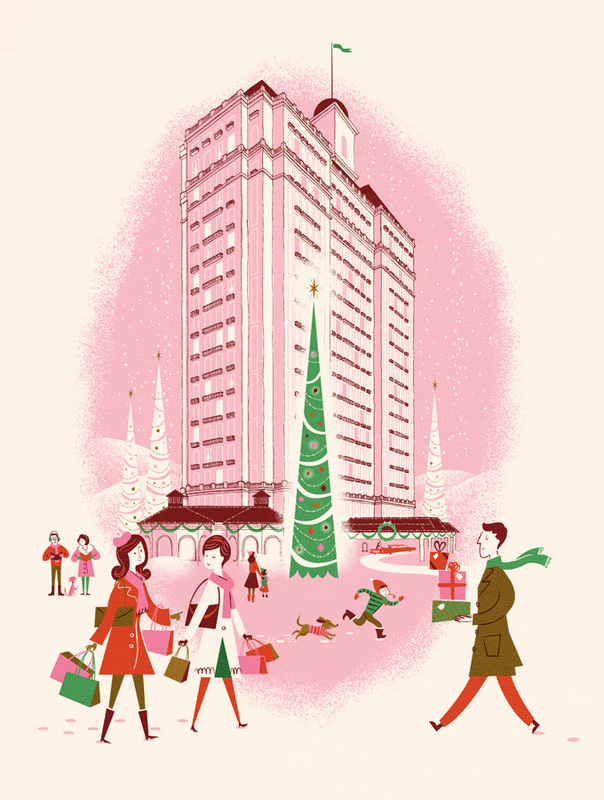 Our work included an illustration of the hotel as well as a decorative pattern of vintage ornaments that informed the rest of the campaign's visuals. 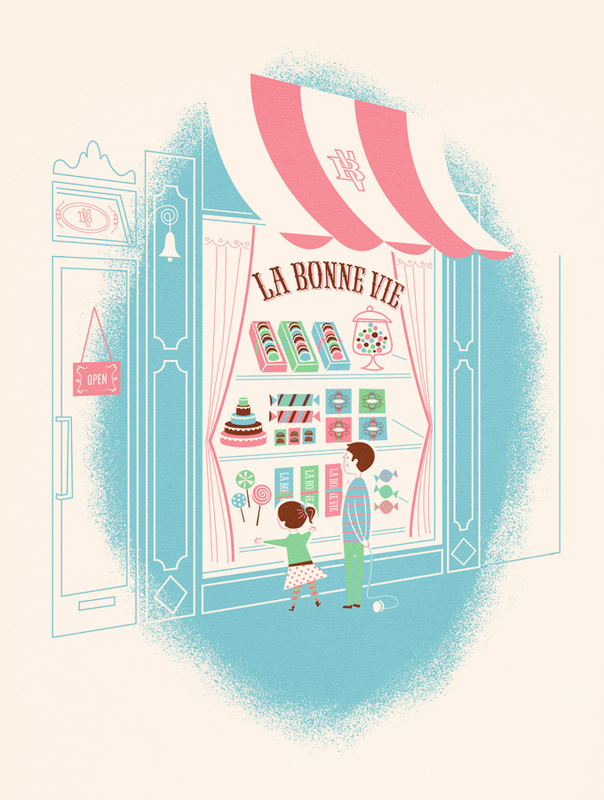 When The Grand America Hotel then launched their in-property sweet shop La Bonne Vie, we were asked to create an illustration that would fit with their French confectionery theme. Capturing the simple delight of any candy store opening, the piece features a minty sweet color palette.